This weekend (July 14th, July 15th) and next (July 21st, July 22nd) I will be having my Eagle Project workdays. They will be on Saturday and Sunday from 9:00am to 1:00pm. The location of my project is at Lakota West High School in the band room. My project is refinishing the Lakota West Band’s music stands. It will involve painting, sanding, and washing, so please wear old clothes. There is no need to bring any tools or extra supplies for this. There will be snacks and water and lunch will be provided. Anyone is welcome at any time throughout the day, if you are coming please try to bring a parent along. If you are interested please text me and let me know what day you are showing up at 513-341-1641. This will allow us to have adequate refreshments. Band Camp Starts July 23! Final Forms MUST be completed by July 20 or your child cannot participate. Information is in the Handbook. Any questions, contact president@lakotawestbands.org. Volunteer sign-up link – We need a few more spots filled. It is a great way to see first hand what it means to be a Lakota West Marching Firebird and see all the hard work it takes! Charms is our communication tool that is used for updates that MUST get to all members and parents. The email that was provided on the marching band commitment form is used here. If you want the emails to go to more than one person or parent, great! But you have to add that to Charms NOW! Charms login info here. Sign up for the 2018 Remind group text. See instructions on web page. Don’t use the calendar in CHARMS, use the one at lakotawestbands.org. Band Camp schedule is on our web calendar as well as in the handbook. Any changes to times will be made on web calendar only. 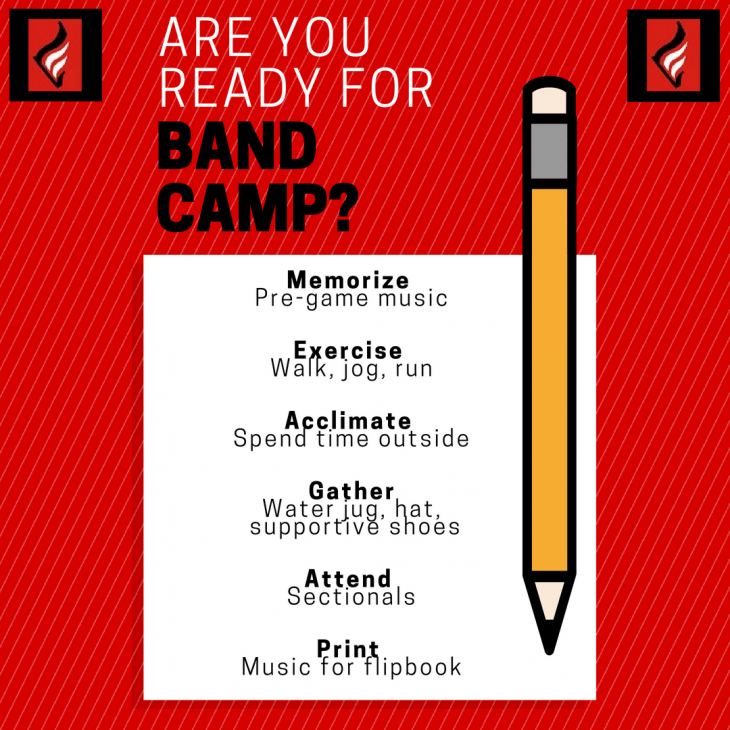 July 23 – Pre-Band Camp Starts and is at the Freshman Building! Saturday August 25 – Tag Day – ALL hands on deck from all parents AND students – more info to come!! Saturday September 15 – Mattress Sale at Main Campus!! Spread the word! Printable flyer on web page link.